Inspired by the recent part study of the new wand piece (and it's sprue!) 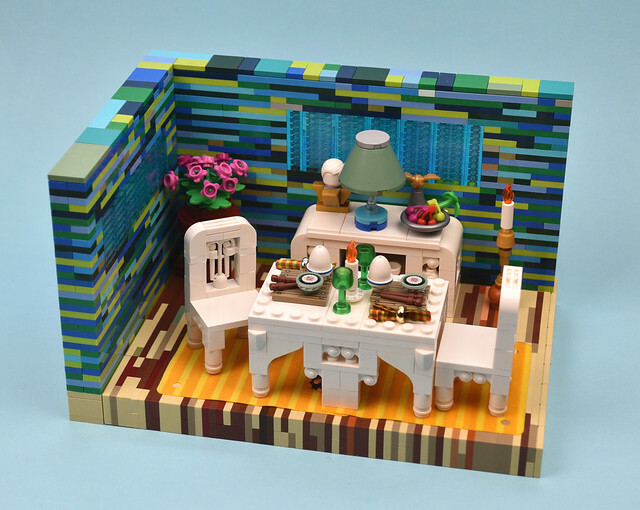 over at New Elementary builder MinifigNick decided to experiment, and this is the result: A charming dinner setting in a very interesting dining room. And while he had all those new Harry Potter parts laying around he decided to incorporate a few, can you spot them?